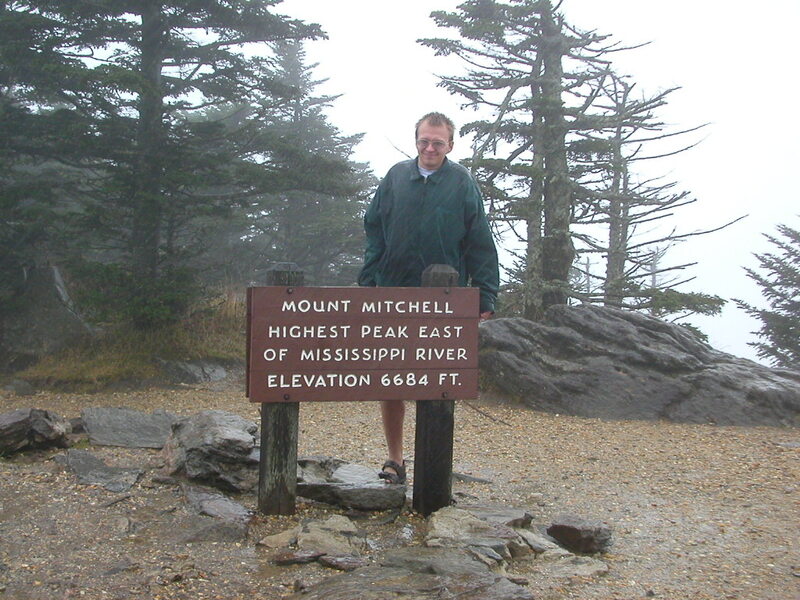 Mount Mitchell is the highest peak East of Mississippi. We visited it on November 6th, 2003. 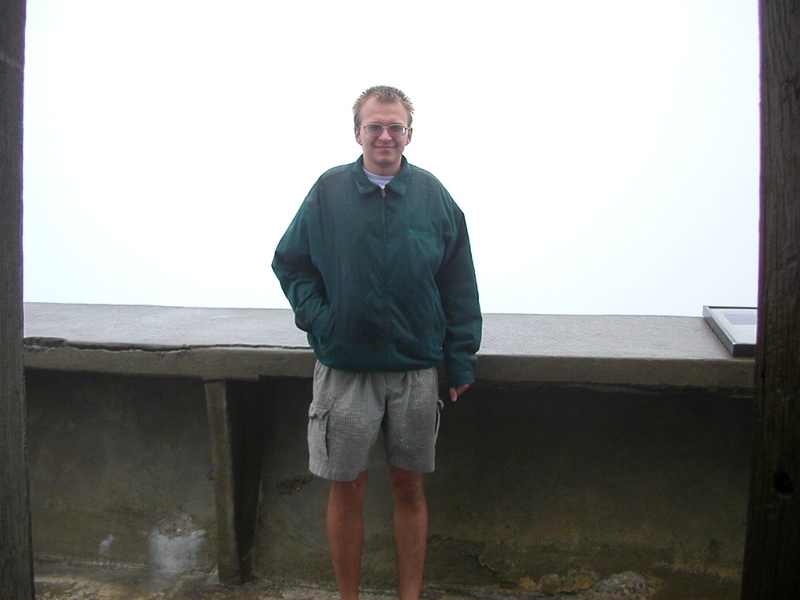 As is customary for East Coast highpoints in November, it was raining. 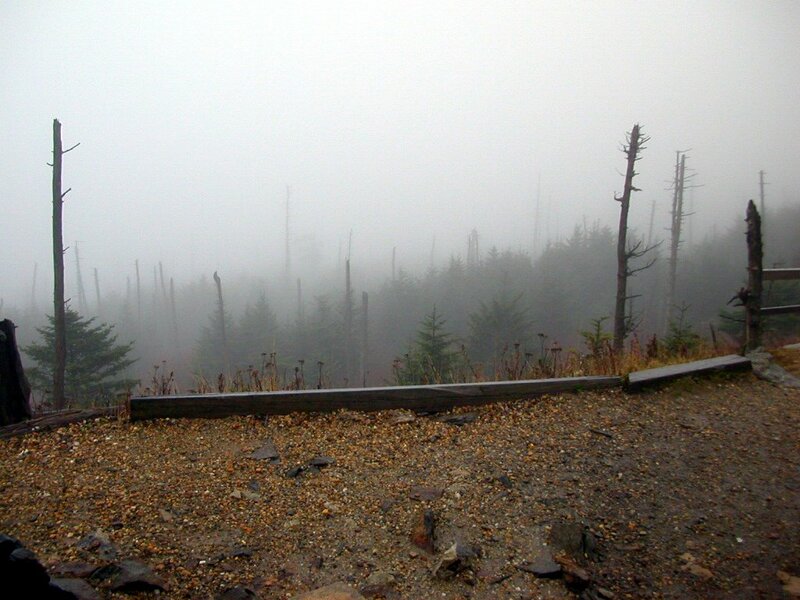 1) From Asheville drive about 27 miles on the Blue Ridge Parkway. 3) Go 4.2 miles and there you are!